Photo: In this photo provided by Blake Kessler, Wesley Kepke skis in Alpine Meadows, Calif., on Sunday, Jan 6, 2019. A winter storm swept through parts of California, Nevada and Utah, bringing heavy snow to some communities. San Francisco, Jan 8 : Utility crews restored power to thousands of people Monday and mopped up the damage from a winter storm that swept through Northern California, as they braced for more stormy weather later this week. A new wet system is expected in the region on Tuesday night that won’t be as intense but two more powerful storms are expected over the weekend, National Weather Service forecaster Emily Heller said. By Monday afternoon, about 3,000 customers were still without power, the Sacramento Municipal Utility District said. “We’ll have all hands on deck for crews to repair damages. We are ready for it, and we’re sort of mopping up from today’s storm and damage,” she said. In Oregon and Washington, tens of thousands of people remained without power after windstorms struck parts the northwest over the weekend. Interstate 80 from Placer County in California to the state line with Nevada reopened Monday but it remained closed in Nevada’s Washoe County, the California Transportation Department said. The National Weather Service on Monday issued a winter storm warning for areas in the Sierra Nevada above 4,000 feet (1,200 meters), saying snowy and gusty conditions will limit visibility. 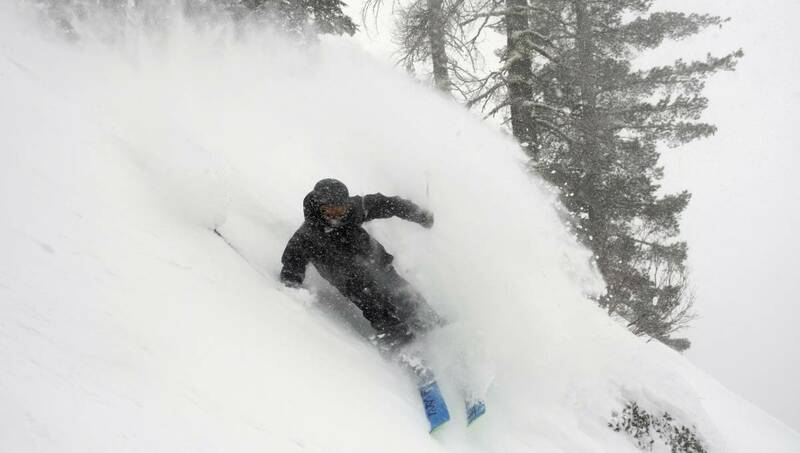 Over three days 4.5 feet (1.37 meters) of snow accumulated at the summit of Mammoth Mountain, 150 miles (240 kilometers) south of Tahoe, the resort said Monday. More than a foot (30 centimeters) fell in the upper elevations around Tahoe, including 19 inches (48 centimeters) at Squaw Valley. Cleanup work kept about 13 miles (21 kilometers) of the scenic highway closed from western Malibu to Ventura County. Caltrans said the closure might last into Tuesday. In the northwest, about 30,000 Puget Sound Energy customers in Oregon and Washington remained without power Monday afternoon. Crews had restored power to 288,000 customers since the height of the storm. Seattle City Light had approximately 1,000 customers without power as of Monday morning, the utility said on Twitter. The National Weather Service reported winds included gusts of more than 60 mph (95 kph) at the storm’s peak Saturday night and early Sunday morning.